Barin Ghosh, Cj. And Servesh Kumar Gupta, J.
Barin Ghosh, CJ. – These matters are pertaining to the assessment years 1998-1999, 1999-2000 and 2000-01. The issues in these appeals are almost identical and are decided jointly. 2. The appellant-assessee is an educational institution. If the appellant-assessee, being an educational institution, is existing solely for educational purpose and not for the purpose of profit, it will be entitled to the benefit of section 10(22) of the Income-tax Act, 1961. During these assessment years, appellant-assessee has not been accepted to be existing solely for educational purpose and not for the purpose of profit and, accordingly, it has not obtained the benefit of section 10(22) of the Act. The reason therefor appears to be a survey conducted on 30th December, 1999. In course of such survey, it transpired, amongst others, that the appellant-assessee purported to spend certain amount of money during the assessment years in question for the purpose of effecting repairs. Payments pertaining to those repairs were made to three persons by account payee cheques after deducting TDS. Those cheques were encashed through the payees bank. The amounts of those cheques were, later on, withdrawn or converted into FDRs and, ultimately, the same were placed in the hands of the father of the chartered accountant of the appellant-assessee. The Assessing Officer felt that the said transaction established that the appellant-assessee did not exist solely for educational purpose during the relevant assessment years. The matter went before the Commissioner of Income-tax (Appeals). Before the Commissioner of Income-tax (Appeals), the appellant contended that the educational institution of the appellant-assessee is a large institution having a large number of students and it, being a residential institution, the amount of money spent during the relevant years, is normal in the matter of maintenance of such a huge infrastructure. It was contended that though the money trail ultimately found its end in the hands of the father of the chartered accountant of the appellant-assessee, but the fact remains that it is not being contended that, without doing the work of repairs, as reflected in the bills, the money was paid. It was contended that it is no body’s case that, ultimately, the money returned either to the educational institution or to anyone in the management of the educational institution and, accordingly, there is no element for holding out that the appellant-assessee was existing for the purpose of profit. It was lastly contended that the appellant is registered under section 12A of the Act and, accordingly, is entitled to, in any event, the benefits of section 11 of the Act. Proceeding on the basis that though there is no dispute that the money for the work done landed up in the hands of the father of the chartered accountant, but there being no contention that the work for which the money was spent was not done, the Commissioner of Income-tax (Appeals) held in favour of the appellant- assessee and, while doing so, specifically stated that, in view of the relief granted under section 10(22) of the Act, he has not been called upon to go into the question, whether the assessee was entitled to the benefits of section 11 of the Act for the relevant assessment years. 3. The Revenue took the matter before the Tribunal. The Tribunal concluded the matter on the basis of its decision rendered for the assessment years 1994-95 and 1995-96, which decision has reached finality. During those assessment years, similar payments were made to similar persons. The Tribunal, while deciding the matter in connection with those assessment years, looked into the bills and, while discussing the issue, expressed its view as to the genuineness thereof. While dealing with the matters pertaining to the assessment years in respect whereof, we are concerned in these appeals, the Tribunal did not go into the facts reflected in the bills, which were produced by the appellant-assessee. This is one of the contentions, which has been highlighted before us. The other contention is, as was urged before the Commissioner of Income-tax (Appeals), that it is not the contention of the Department that repair works, reflected in those bills, were not effected and, on top of that, it is not the contention of the Department that the money trail ended in the hands of anyone directly associated with the management of the institution. It was also urged that even assuming, the case under section 10(22) is not sustainable for the appellant, then also it is incumbent to consider the case, whether the appellant is entitled to the benefit of section 11 of the Act. In relation to two assessment years out of the three, with which we are concerned in these appeals, there is also a contention pertaining to payment of money relating to purchase of a land. That is also the subject matter of the contention for the assessment year 1996-97 and, in relation thereto, Income Tax Appeal No. 45 of 2009 has been filed and that matter has been adjourned till 30th August, 2013, in order to enable the learned counsel for the Revenue to take instructions, whether the said matter can be remitted back inasmuch as in the assessment years 2001-02, 2002-03 and 2003-04, those payments have been accepted as payment made for purchase of property. 5. Therefore, it may be possible that for one assessment year, an educational institution existed solely for educational purpose and the self-same institution may exist in some other financial years not solely for educational purpose. In the event for a particular assessment year, the institution does not exist solely for educational purpose, then the benefit of section 10(22) of the Act is not available to the institution for that assessment year. There is no contention that, during the relevant assessment years, the appellant- assessee had any other activity apart from the activities associated with educational purposes. At the same time, it has been found that the money belonging to the assessee found place in the hands of a person, who even, according to the assessee is totally disassociated with the assessee-institution. The assessee did not make any effort to establish at any stage as to how the money spent ostensibly on account of repair works of the institution landed up in the hands of a person, who had and has no connection with such repair works. In a situation of this nature, unless the assessee establishes by facts and figures as to how the money landed in the hands of that totally unassociated person, the one and the only presumption in law would be that the money has been siphoned away from the institution. It will be presumed that no work has been done and the money has been siphoned away. An educational institution, which had and has no connection with the father of the chartered accountant of the institution, will devise its means in such a way in order to reach the money to the father of the chartered accountant of the Institution ; but why, unless it is explained by the assessee, the presumption will be to benefit him. The words “not for the purpose of profit” come after the words “existing solely for educational purpose”. Because of the unexplained payment, thus made, it will be presumed that, during the relevant years, the assessee was not existing solely for educational purpose and, accordingly, the presumption will be, it was existing during the relevant years for the purpose of profit and how the money travelled to the father of the chartered accountant of the assessee reached the managers of the institution is within the special knowledge of the assessee. Despite such knowledge, if the assessee refuses to disclose the same, an adverse inference can always be taken against the assessee. We would, therefore, conclude that the Tribunal has not done anything wrong by pronouncing that during the relevant years, the assessee was not entitled to the benefit of section 10(22) of the Act. Now, the question comes, whether the assessee is entitled to the benefits of section 11 of the Act. 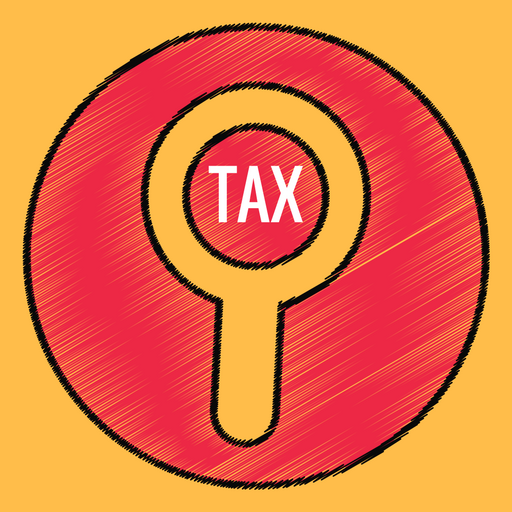 No dispute that the assessee stands registered under section 12A of the Act since 31st December, 1998. In these appeals, we are concerned with the assessment years 1998-99, 1999-2000 and 2000-01. Having regard to such registration, the case of the assessee under section 11 is not applicable for the assessment years 1998-1999 and 1999-2000. The case of the assessee under section 11 is applicable in relation to the assessment year 2000-01. The fact remains that the assessee, when went before the Com- missioner of Income-tax (Appeals), it had taken a plea that it is entitled to the benefit of section 11 of the Act, if it is held that it is not so entitled under section 10(22) of the Act. As will be evidenced from the order of the Commissioner of Income-tax (Appeals), the contention of the appellant- assessee that it is entitled to the benefit of section 11 of the Act was not gone in by him inasmuch as the case of the assessee for obtaining the benefit under section 10(22) of the Act had been accepted by the Com- missioner of Income-tax (Appeals). As aforesaid, the matter reached the Tribunal at the instance of the Revenue. The order of the Commissioner of Income-tax (Appeals) was before the Tribunal. Despite noticing that the alternative plea of the assessee under section 11 of the Act was not considered by the Commissioner of Income-tax (Appeals) for the reason he allowed the appeal by granting the benefit of section 10(22) of the Act, the Tribunal did not bother to address its mind in that regard. In the present appeal, it is being contended that it was unjust on the part of the Revenue authorities in not deciding on the merits the claim of the appellant to obtain the benefit under section 11 of the Act. We agree to the same. We, accordingly, uphold the judgment of the Tribunal in so far as the same relates to the claim for benefit under section 10(22) of the Act, but remit the matter back to the Commissioner of Income-tax (Appeals) for consideration of the case of the appellant for benefit under section 11 of the Act for the assessment year 2000-2001. No order as to costs. This entry was posted in Sec. 10(22) and tagged 359 ITR, educational institution, In favour of Revenue, Uttarakhand High Court. Gujarat H.C : Where Assessing Officer having completed assessment under section 143(3), initiated reassessment proceedings after expiry of four years from end of relevant assessment year, in view of that in reasons recorded there was not even a whisper to effect that income had escaped assessment on account of any failure on part of assessee to disclose fully and truly all material facts necessary for its assessment, impugned reassessment proceeding deserved to be quashed.